It is a great set to look at! If, still, I were to choose between the two variants, I would choose the first, older one. It looks more balanced and... happier to me. 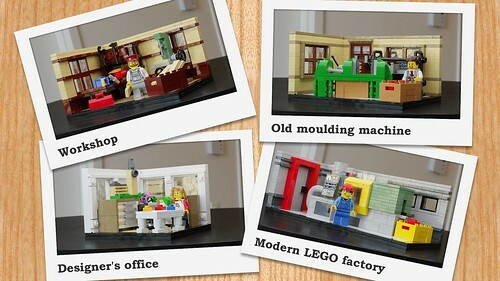 Oh, wait: I am still talking about/stuck with the LEGO Factory Playset! I will have a closer look at your alternative pet shop a bit later, but until then - I do like what I see at first glance! Thank you so much Tamas!! Let's hope people will like and pre-order it! As I already said on at least two Fb groups; congrats again! A very nice design; really hope that it gets produced! Great to know that there are so many talented AFOLs around here. Thanks Botond and sorry for the late reply! Now you can actually pre-order the set here! It's a massive hit with the community; kudos to you on such an achievement!